Out of stock since Wednesday, 23 January 2019. Due back soon. Orbiloc Dog Dual is a Danish-made high quality LED Safety Light designed to keep both you and your dog safe. The Orbiloc Dog Dual Safety Light ensures that both of you are visible to others when out and about in the dark, drastically reducing the risk of being involved in an accident or dangerous situation. With Orbiloc Dog Dual other road users will be able to spot you from a distance of up to five kilometers, which leaves them plenty of time to react. Orbiloc Dog Dual is made to withstand whatever your dog puts it through. It is waterproof to a depth of 100 meters and it can withstand a load of 100 kg. In fact, we trust in the durability of our product so much that weve given it a three-year warranty. The Orbiloc Service Kit contains everything you need to maintain your Orbiloc Safety Light. The Orbiloc Safety Lights use two CR-2032 Lithium batteries. A pre-wrapped battery pack of two cells comes with all Orbiloc Safety Light models. The Orbiloc Safety Light has a very long battery life: 250 hours when flashing and 100 hours when steady-on. The tiny O-ring lubricated with silicone is crucial to the Orbiloc Safety Lights remaining waterproof to 100 meters. To make sure the Orbiloc Safety Light stays waterproof we recommend the O-ring be replaced every time you replace the battery pack. 1 x Orbiloc Rubber Strap 1 x Orbiloc Velcro Strap. You can also use the Orbiloc Rubber Strap to attach the light to your dogâ”¬â”¤s collar or leach. The Orbiloc Rubber Strap is made from silicone that is very resistant to extreme environments and temperatures while still maintaining its form. The friction of the Orbiloc Rubber Strap ensures that your Orbiloc Safety Light does not slide even with movement. 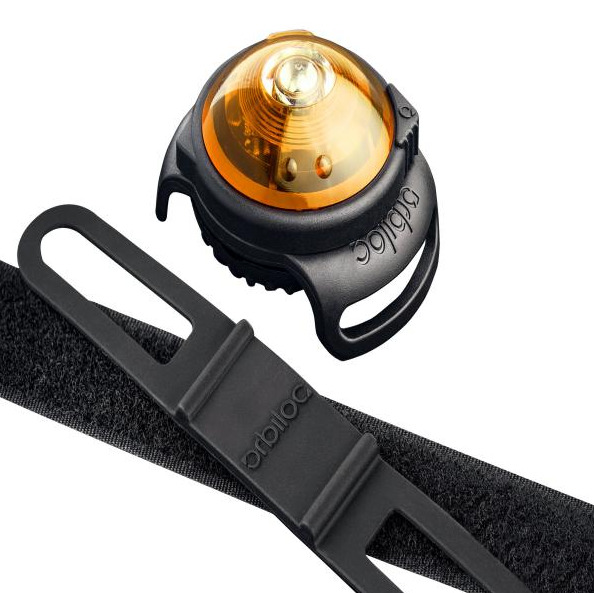 The Orbiloc Clip allows an easy on and off attachment of the Orbiloc Dual Safety Light to any collar, harness, lead or clothing. Below are some recent questions we've received regarding Orbiloc Dog Safety Light, including answers from our team. If you buy the light you would need to purchase the clip too.